Today’s man is someone who does it all. Always open to the new and untried, he finds surprising and innovative ways to make the most out of his life. For him, it’s about the journey, not the destination, and the experiences along the way. Today’s man doesn’t have a schedule he has to keep; he makes his own plan. 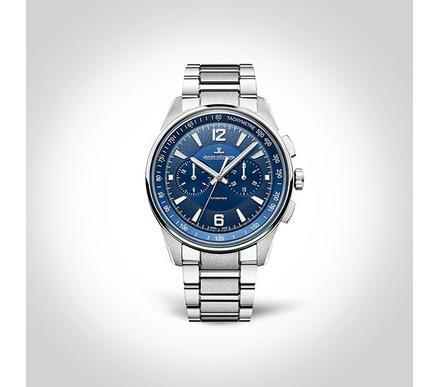 For his lifestyle, he needs an elegant yet sporty watch that can do it all, one that keeps up with his active pace: the new Jaeger-LeCoultre Polaris. 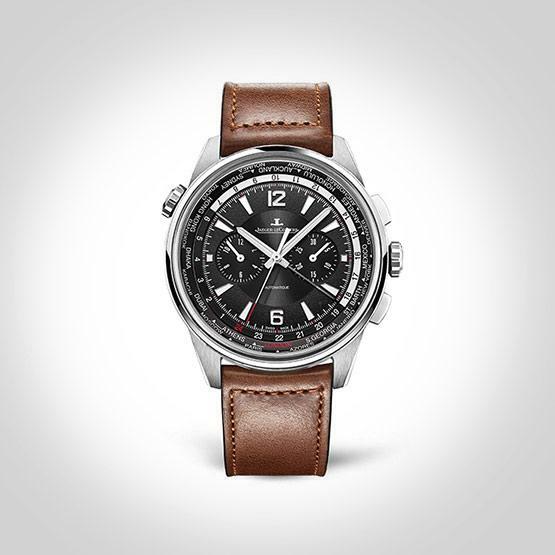 The new Jaeger-LeCoultre Polaris collection channels the best of the Grande Maison’s watchmaking tradition and its attention to detail, while creating a contemporary sporty yet elegant timepiece, with a vintage touch. The dial architecture in the Jaeger-LeCoultre Polaris collection is distinctive, combining a mixture of finishings on three concentric circles: a Memovox Polaris-inspired center with a sunray finish, graining on the outer circle with the hours and minutes, and an opaline finish on the rotating inner bezel. The Jaeger-LeCoultre logo is applied, as are the classic Arabic numbers and the contemporary trapezoidal indexes. The hands are large and filled with Super-LumiNova™* for excellent visibility in low light. In two models, the Super-LumiNova™* is vintage vanilla-colored as an homage to the look of Tritium featured on the original Memovox Polaris. 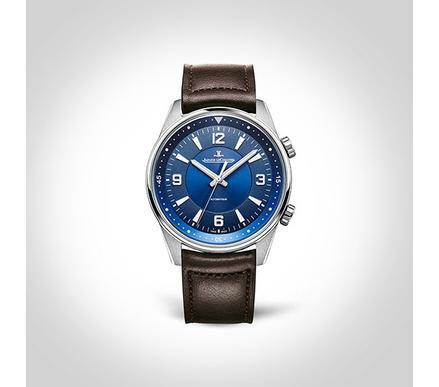 Historically black, the new Jaeger-LeCoultre Polaris is offered in a black or ocean blue dial, bringing a sense of urban elegance. 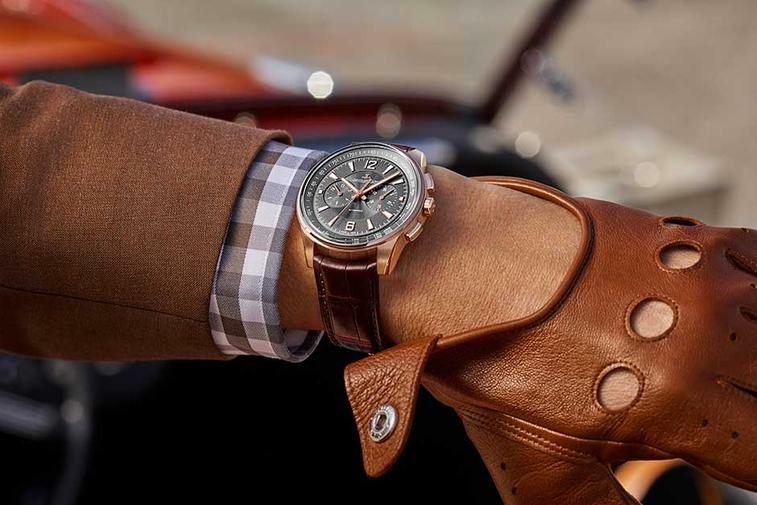 A chronograph is perhaps the most practical complication in watchmaking. 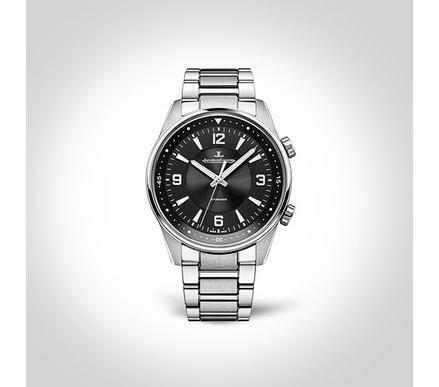 The pushers of this precision instrument have been redesigned for a better grip, and the thin bezel helps to open the dial for maximum readability. 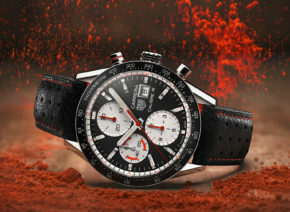 This new model offers sharp contrast so the chronograph subdials can be read quickly, complete with oversized triangular indices. 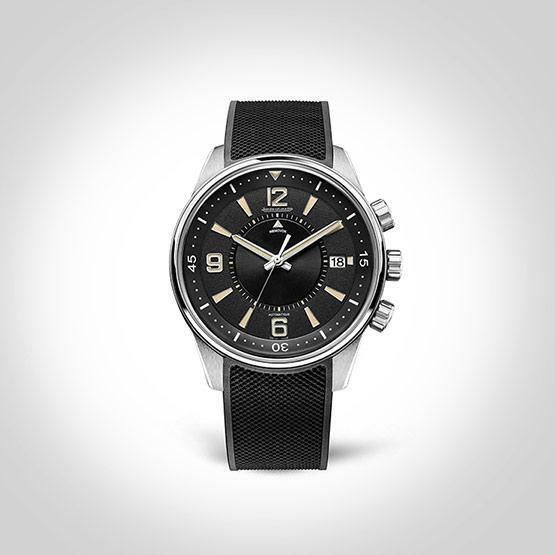 With the Jaeger-LeCoultre Polaris Date, the link to the original Polaris from 1968 is stronger than ever. Like the original, this watch uses the same design codes — Vanilla Super-LumiNova™*, the triangle along with trapezoidal indices mixed with four Arabic numbers, a railway track for the minutes — and features a date at three o’clock. Issued in a limited edition of 1,000 pieces, this model features the special alarm function made famous by the 1968 Memovox Polaris watch. This 50th anniversary timepiece has an iconic three-crown design: one for setting the alarm (top), one for the inner rotating bezel (middle) and one for setting the time (bottom). The vintage cues on the dial call to mind the 1968 original – vanilla Super-LumiNova™*, trapezoidal indices mixed with four Arabic numbers – and the triangle in the dial center serving as the alarm indicator. Controlled by the alarm crown, the central disc turns to line up the triangle with the desired alarm time. The Jaeger-LeCoultre Calibre 956 features the striking mechanism with a gong, along with the central seconds and instant-jump date-change system. 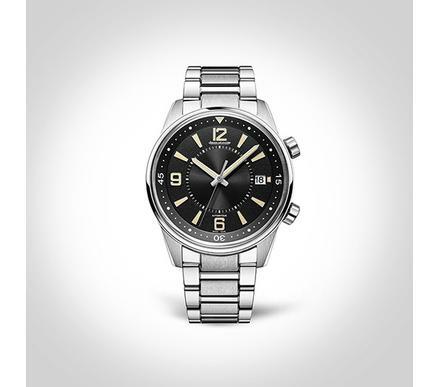 This caliber is a direct descendant of the first automatic alarm watch movement created by Jaeger-LeCoultre in the 1950s. Constantly improved, it still represents the ultimate in accuracy, robustness and reliability. 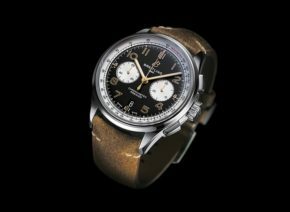 This is a rare example of a movement that has been in production for more than 60 years after its creation, continuously updated and modernized. 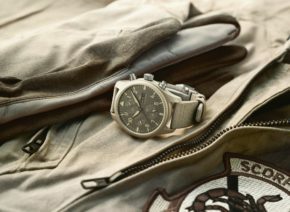 The new Jaeger-LeCoultre Polaris Memovox comes on a brand-new rubber strap with a new folding buckle and is water resistant to 200 meters. 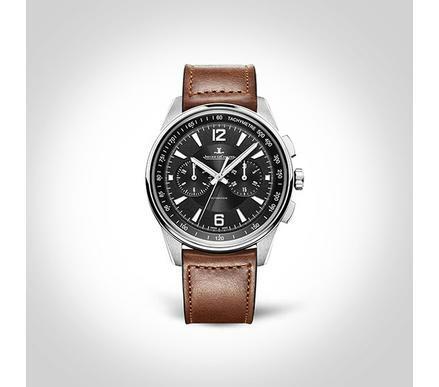 Inspired by an icon from Jaeger-LeCoultre’s vast archives, the new Jaeger-LeCoultre Polaris collection continues the adventure and takes it into the future, with a selection suitable for any man of action. Ready for anything, the Jaeger-LeCoultre Polaris awaits. 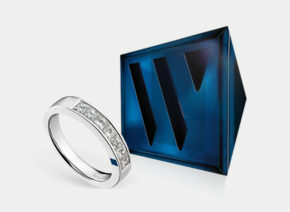 *Jaeger-LeCoultre is not the owner of Super-LumiNova.